Whether you are looking for a Christmas dress for your work event or a dress for your prom, I have found a new website that can help. I have been browsing through a website called Sassy My Prom and I have been pretty impressed so far. Why am I so impressed? You can actually find homecoming dresses under 100 - yep, under £100. You don't need to spend a fortune to feel fabulous and one of my hobbies is to look for over the top, glam prom dresses...even if my prom was quite a while ago.What I love most about this collection is that the styles are ideal for prom or for a formal event. I thought it would be nice to make a small wish list. Oh my goodness, these dresses are gorgeous! 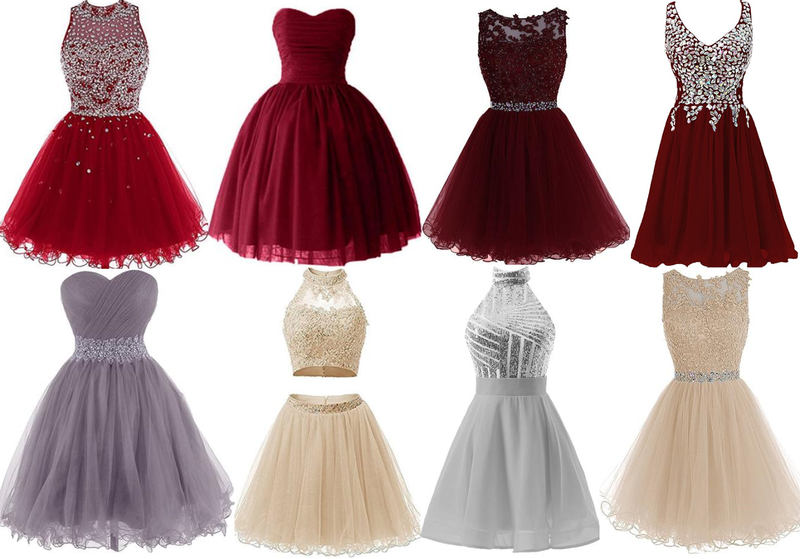 I LOVE the first dress on the second row.